Here's a quick and easy-to-follow photo tutorial on how you can make your own Ghostie Boo Garland! 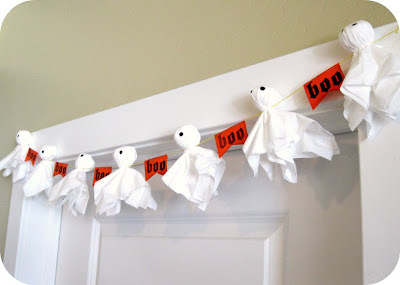 Once all of the ghosties are strung, you can make "BOO" tags to hang inbetween each one, or you can leave it just as it is. I stamped the word "BOO" in black ink onto bright orange card stock. I cut a "V" shape at the bottom and used black chalk to distress the edges. I then folded the top of the card stock over the string and stapled the paper together, close to the string, to keep it in place. 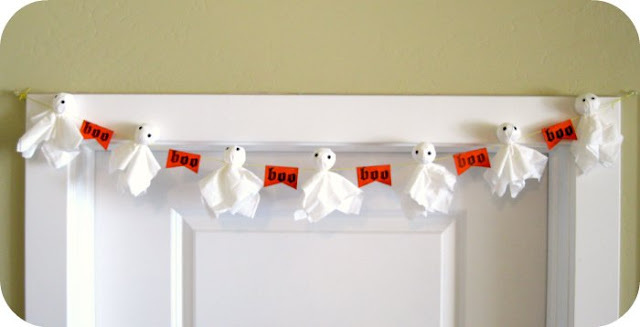 Hang it somewhere spooky and awesome and you're good to go. 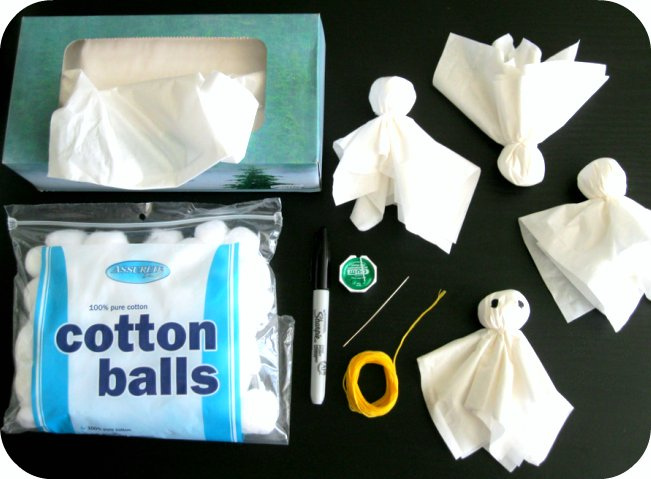 Cute--and I'm so glad I found your blog! I am totally in love with this! 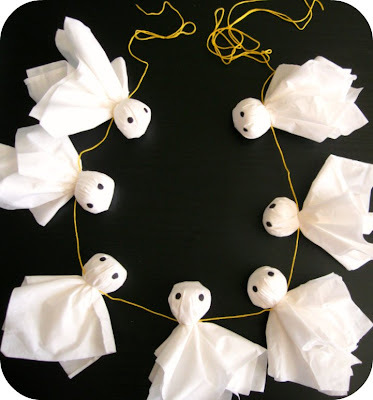 I'm definitely going to make this with my kids, I think it's going to be perfect strung across the fireplace mantle. Adorable! I would love it if you'd stop by my blog to say hi! Today I'm featuring an Autumn leaf craft that's fun for toddlers and big kids alike! You can also check out our Halloween Book Basket. Hope you're having an awesome day! Hi, found your post on Pinterest. It's so cute. I am pinning it. Thanks for sharing. Hi!!! 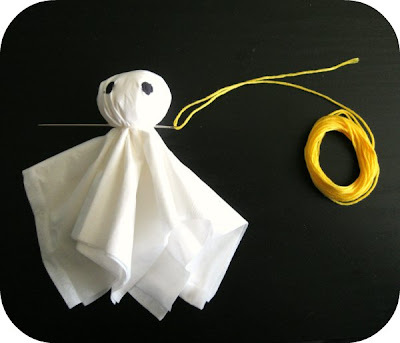 I know it's been a while since you posted this craft, but I just wanted to tell you I included it in my favorite Halloween crafts post because I just love it! Thanks a million for sharing ❤ I'm really grateful!